La Flor de GaudÃ­ La Pedrera is located in a residential modernista block right in the centre of Barcelona in Dreta de l'Eeixample. We are just a few minutes away from La Pedrera, a modernist GaudÃ­ building and the famous Passeig de Gracia and only 5 minutes away from Gracia, a bohemian neighborhood popular with artists and musicians. 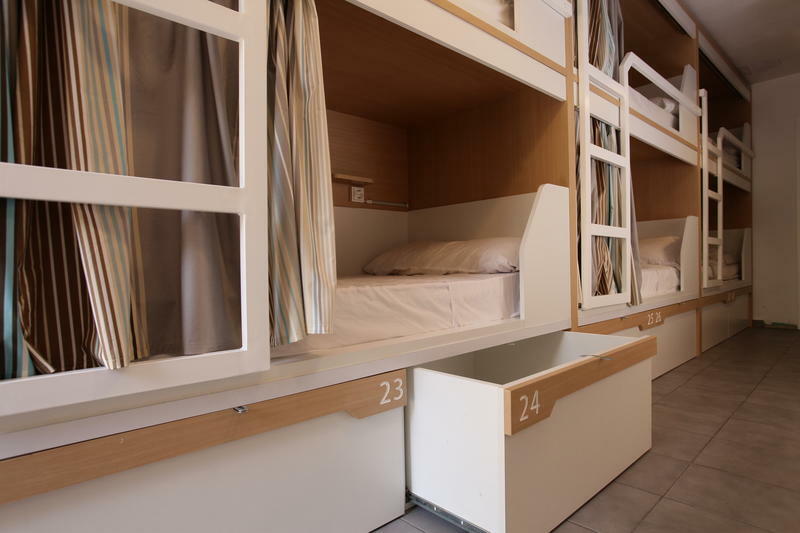 Our hostel is a great place for travelers looking to get a taste of how the locals live. And we should know. We grew up here. When you stay with us, itâ€™s like staying in our home. And even though it has a grand entrance hall and intricate mosaic tiled flooring (more formal elements of early 20th century Catalan interior design), our apartment is very relaxed and informal. As locals, we enjoy providing recommendations on the best our city has to offer, especially when it comes to Barcelonaâ€™s history and culture for which we have great passion. And since we are naturally curious people, we can share insider tips on a wide range of things that cater to your unique interests, both on and off the beaten pathâ€¦and show you best way to get there. Since we love spending time with our guests, we have free activities every week including a walking tour of the Gothic quarter, Catalan cooking lessons, an excursion to a nearby flamenco show in Gracia and many other activities that change depending on what interesting things are going on in our majestic city that week. In our home, you will also find relaxing spaces for socializing and meeting other guests, including two large enchanting gardens that have both sun and shade. 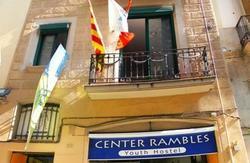 We have both single rooms and shared dorms (including all female dorms), comfortable beds, a spacious kitchen, continental breakfast (3â‚¬), free high-speed Wi-Fi and laundry service. Come pay us a visit. We canâ€™t wait to show you around. You can take the 'AeroBus' which leaves you in PlaÃ§a Catalunya. From here, you can take the green line Metro (L3) to the Passeig de Gracia. Station and weâ€™re only a 5 minute walk from the station. 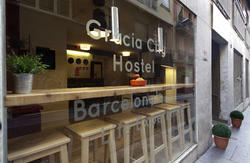 Walk down Passeig de Gracia for 3 blocks (in the direction of Avenue Diagonal) and make a right turn on Carrer Provenca. 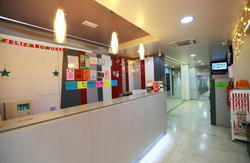 Walk for a block and half and youâ€™ll find us on the right hand side at 318 Carrer de Provenca. Youâ€™ll see our doorbell at the front of the building. You can also take the train from the airport (T2). Youâ€™ll want to get off at the Passeig de Gracia station. From here, weâ€™re only a 5 minute walk. Girona airport is about 1 hour's drive from Barcelona. You can catch the â€˜Barcelona Busâ€™ which goes directly to Barcelona and stops in Estacio d' Autobusos Barcelona Nord (Bus Station). From here, you can take the Red line Metro (L1 ) to PlaÃ§a Catalunya, where you will want to transfer to the Green line Metro (L3), taking it to the Passeig de Gracia Station. Weâ€™re only a 5 minute walk from the station. All Train stations are well connected with the Metro (Subway) and you will want to reach the Passeig de Gracia Metro station with the Green Line/L3) or the Diagonal Metro Station with the Blue line/L5. Both stations are in short walking distance from our home.